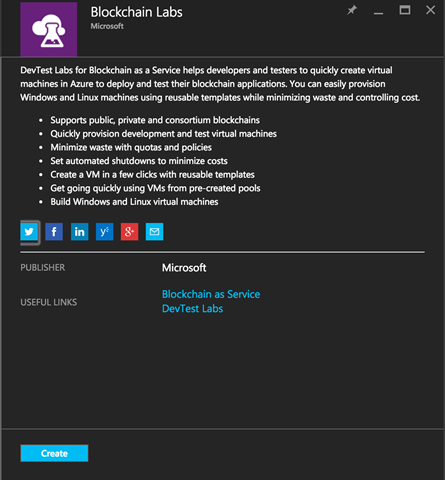 I'm pleased to announce the integration of Blockchain as a Service into Microsoft Azure DevTest Labs. 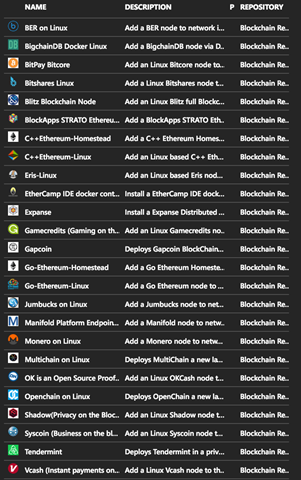 Simply search for the keyword "Blockchain" and you will see Blockchain Labs in the list of available resources. Select Create and fill in the details of your lab and you'll be off to the races. You can then select from a wide variety of blockchain artifacts to create your own private, permissioned, public or consortium blockchain labs. Use your choice of open source stacks and third party offerings to get started. I'd also like to provide a shout out to PokitDok and their vision for blockchain in healthcare called DokChain. Exciting stuff! Lastly, regarding project Bletchley. 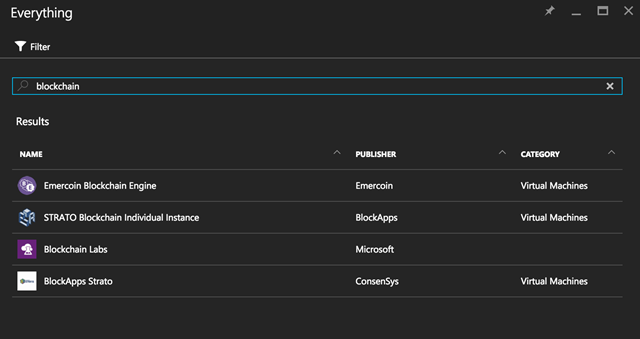 As we build out our blockchain middleware stack more detailed information and documentation will become available on GitHub. Future topics include: writing secure SmartContracts, Microsoft Blockchain data services and a deep dive into Cryptlets.